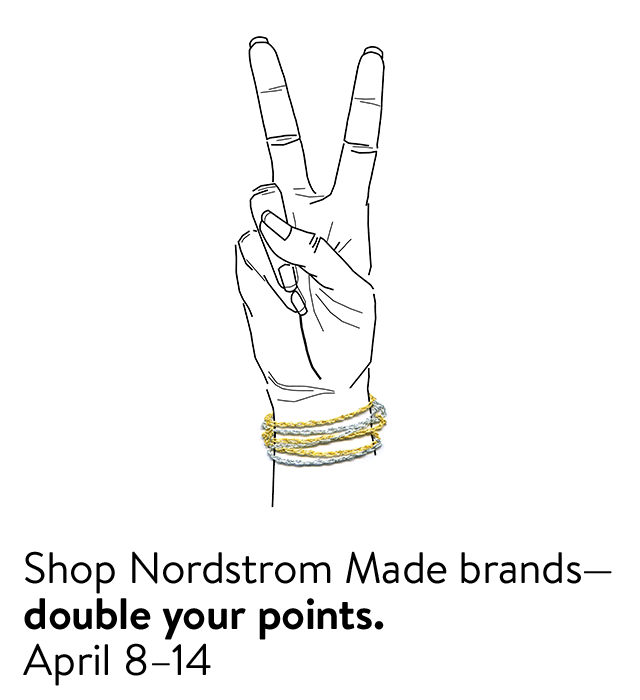 Join The Nordy Club to earn 2X the points when you shop our family of Nordstrom Made brands in stores or online at Nordstrom, April 8–14. * Your points add up to Nordstrom Notes that you can spend on anything with us. Joining The Nordy Club is easy (and free!). *This offer excludes purchases made in stores or online at Nordstrom Rack and HauteLook. This is an advertising message from Nordstrom and Nordstrom Card Services.